Altogether now: BOOO! 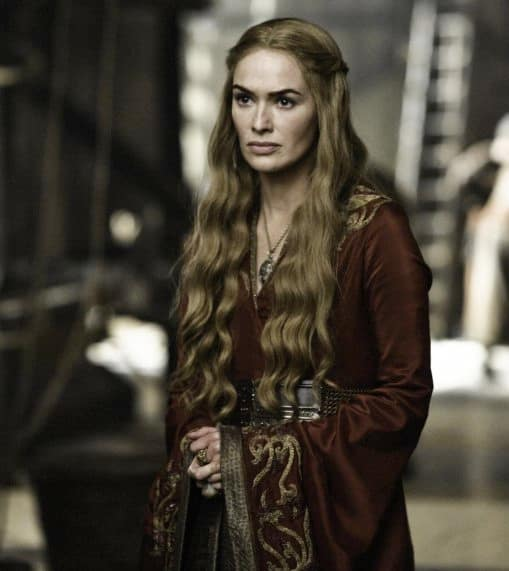 Cersei glares here during season two of Games of Thrones. Game of Thrones Season 2: First Photos! Yara: You want to go to Winterfell to fight for the Starks. Go. What is dead may never die. Theon: What is dead may never die. Yara: But kill the bastards anyway. Permalink: But kill the bastards anyway. You want a whore, buy her. You want a queen, earn her. Permalink: You want a whore, buy her. You want a queen, earn her. Game of Thrones Round Table: So. Many. Reunions. Game of Thrones Promo: Will Jon Betray Daenerys?! 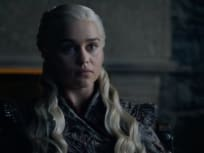 Game of Thrones Season 8 Episode 2: "Episode 2"
Game of Thrones Season Premiere Review: Get Ready for War!